Hi! How are you today? It is a little rainy here at the moment, so I went and created some sunshine in the craft room. Have you noticed the patterns on the back side of the Fruit Stand Designer Series Paper? They are just as yummy as all the fruit on the front side! Today’s cards will all feature the backside of the Fruit Stand! I think this card would be perfect for someone who is going through a rough patch – just to let them know that better days are coming. 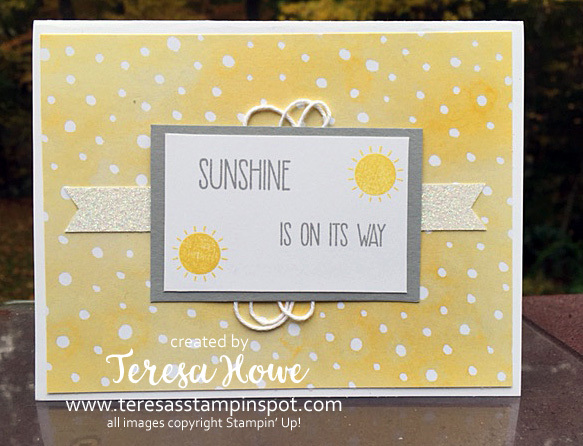 The sentiment is from the Sunshine Sayings stamp set while the sun is from the All Year Long Project Life Accessory pack. 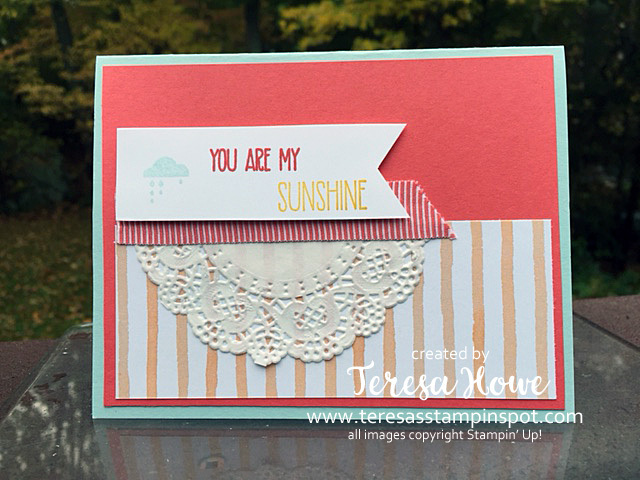 Once again, the leaf is from the All Year Long accessory pack while the sentiment is from Sunshine Sayings. The acorn is punched out with the Acorn Builder punch – the cap in Soft Suede and the nut in Crumb Cake. Crumb Cake ink was used to ink up the edges of the acorn, sentiment, and the Pumpkin Pie layers. 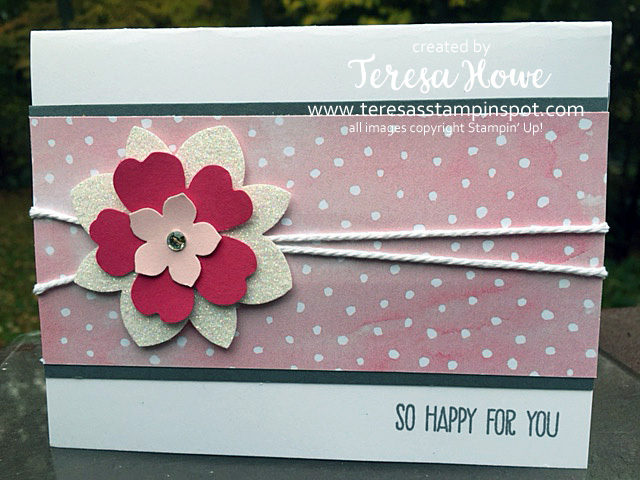 The third card is this beauty that is decked out with a layered flower. I love how well the three punches coordinate to make one gorgeous flower. Not sure how well the sparkle came through, but the bottom layer of the flower was punched out of our Dazzling Diamonds glimmer paper. Thick Whisper White Baker’s Twine and a Basic Rhinestone gem complete the card. I have a friend who says this to his daughter all the time. 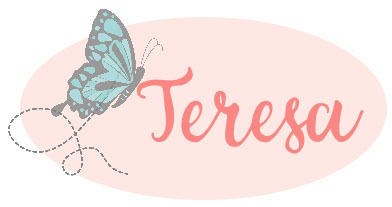 I thought of them while making this card and hope to give it to him to send to her the next time we get together. I just didn’t want you to miss these awesome patterns in case the Fruit Side didn’t do it for you. 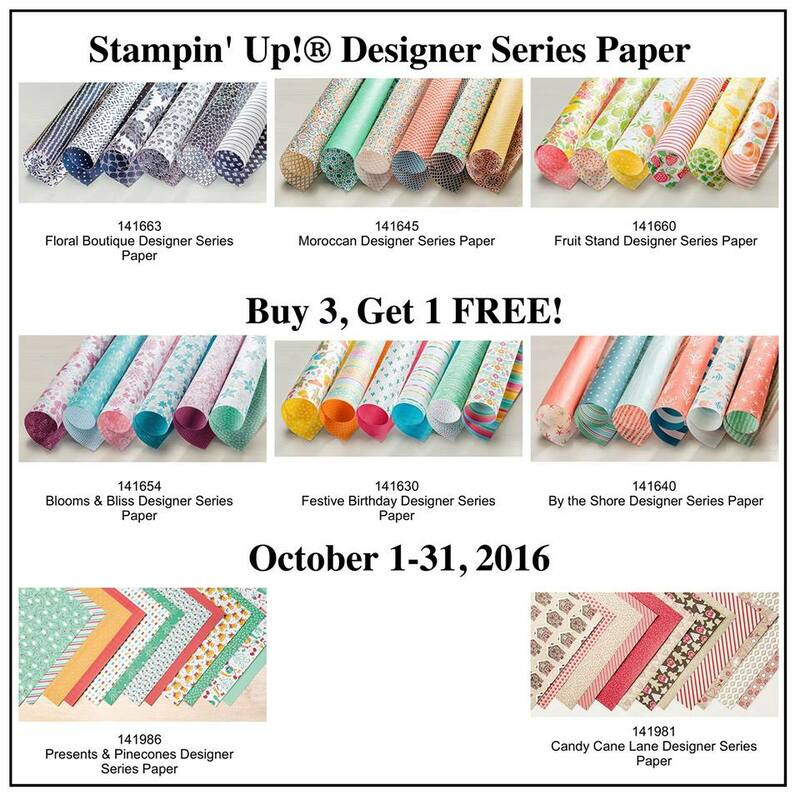 And best of all, this Designer Series Paper pack is part of the Buy 3, Get 1 Free Special going on through October 31st!! 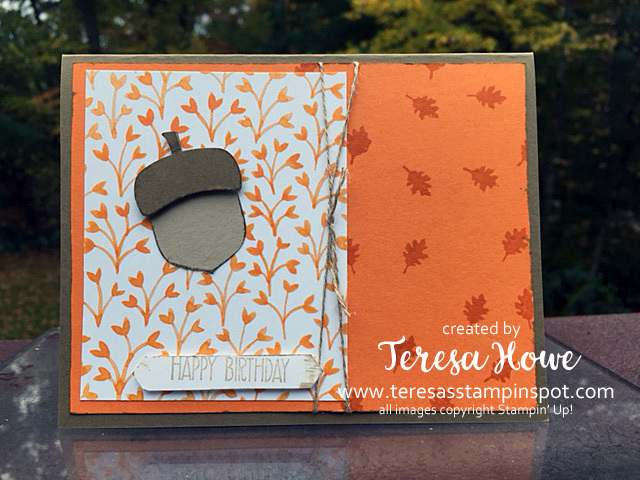 If you have been inspired by these cards, then hop on over to my store by clicking on the Fruit Stand Designer Series Paper icon below and order today!